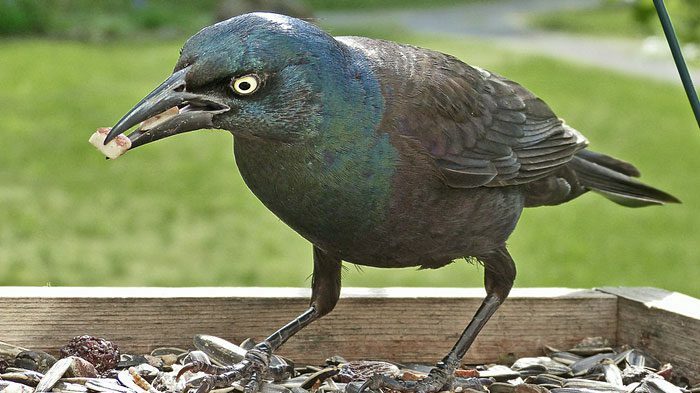 Grackles and blackbirds are usually not a long-term problem overtaking feeders, as they tend to visit for a short window of time and then move on. Photo by Bob Vuxinic via Birdshare. Deterring some species of birds while attracting others is a perennial challenge for backyard bird lovers. 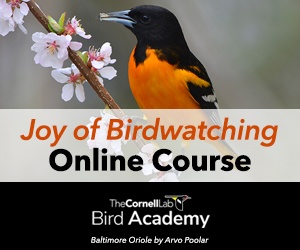 We encourage people to enjoy all the birds that come to their feeders, but sometimes one or more types of birds will wear out their welcome through their insatiable appetites, aggression toward smaller birds, messiness, etc. With the right information and a bit of patience, you can keep frustration and extra expense to a minimum. Pigeons: try to use bird feeders designed to exclude larger birds. Some have “cages” around them that only small birds can pass through; others close off the food source when a heavy bird alights on the perch. Blue Jays, as beautiful as they are, are often unwelcome due to their appetite and occasionally aggressive behavior. They can also be thwarted with feeders designed for smaller birds. Grackles and blackbirds are usually less of a long-term problem, as they tend to visit for a short window of time and then move on. First consider the type of seed you are using. If you’re using a seed mix, these are often more attractive to “problem” birds than they are to chickadees, cardinals, goldfinches, and other feeder favorites. Sunflower seed, particularly striped sunflower seed, and safflower seeds, both of which have thick, hard shells, are more difficult for blackbirds to open, so switching to one of those might help. Invasive species such as European Starlings and House Sparrows are often considered “unwelcome” feeder visitors. Because these species are similar in size to many of the more desirable birds, it’s a little harder to discourage them. Some people simply remove their feeders for a couple of weeks. Other techniques include keeping food off the ground; and temporarily switching to nyjer seed—sometimes called thistle—in a tube feeder. While starlings and House Sparrows do eat nyjer, both species prefer sunflower seed, and starlings in particular find it difficult to use tube feeders. Starlings have softer bills than most seed eaters, so peanuts (in the shell) and white-striped sunflower seed pose problems for them to open, so you might switch to those items while the starlings are still present. 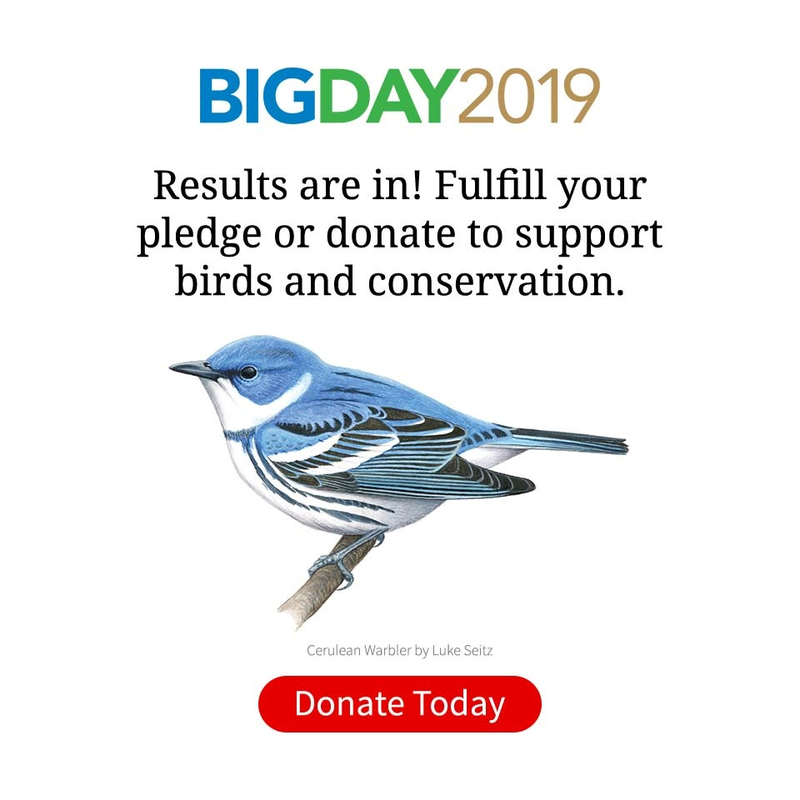 For more information, visit Project FeederWatch. They offer excellent information on common feeder birds, types of feeders and types of food to help you make sense of the available options. If you have invasive species nesting in or around your home or out-buildings and they are becoming a nuisance, you may want to evict them from these areas. Try hanging mylar balloons filled with helium so they’re floating about wherever the starlings get access. The unpredictable movements of helium balloons and the shininess of mylar often drive birds away. You can close off all access with hardware cloth or other mesh, but mylar balloons are much quicker and easier and work surprisingly often. My Feeders Are Attracting Rats. What Can I Do?